This program for home school children will examine the fascinating, important work of pollinators. Following a lesson in the historic lecture hall, there will be scavenger hunts, bee-themed games, and active hive demonstrations. Space is limited and registration is required. Email reservations@wagnerfreeinstitute.org to register for the program by September 3. Please include name, contact information, and the number of children and adults. Meet us in the Wagner yard for a sweet Honey Happy Hour. This year there will be honey-brewed beer samples from the Philly Home Brew Outlet, Earth Bread + Brewery, and Tired Hands Brewing Company. And what kind of Honey Happy Hour would it be without mead? Colony Meadery will also be on site with samples to share. 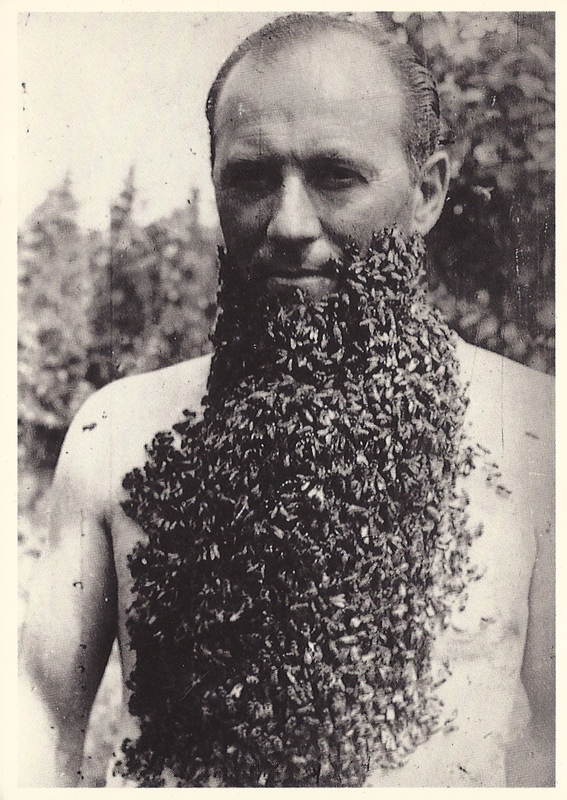 In addition to beer tastings there will be open hive viewings, honey extraction demonstrations, a photo exhibit featuring beekeeper Yovina Tanamas-Miller, honey vendors, bee bearding and more! Open Hives, Author and Expert Talks, Honey Extractions, Children’s Porgrams and much more! 12:00 pm Jon McGoran, Author of ecological thrillers Drift, and its newly released sequel, Deadout, which takes a chilling look at the world of GMOs, biotechnology and the disappearance of the bees. McGoran has been writing about food and sustainability for twenty years, as communication director at Weavers Way Co-op and editor of The Shuttle newspaper, and later as editor at Grid magazine. He is also an advocate for urban agriculture, cooperative development and labeling of genetically engineered foods. His short fiction, nonfiction and satire have appeared in numerous publications. Writing as D. H. Dublin, he is also author of the forensic thrillers Body Trace, Blood Poison and Freezer Burn. Visit him at www.jonmcgoran.com. You may also drop off at:The Colony Meadery in Allentown through Friday 9/5. Malt House LTD. in Mt. Airy during regular business hours through Friday 9/5. The event will take place in the rose garden at Wyck. Only those who enter homebrews will be allowed to sample entries and receive feedback. Everyone is welcome to sample and purchase commercial grade Mead from The Colony Meadery, who will be on site for judging, educating, and sharing this sweet beverage. Open Hive Demonstration, Garden tours, Farm Tours, Honey Extraction Demonstration, Cooking Contest, Honey Tasting & Sales, Bee Beard, and more!